Lock in a great price for Kókkini Porta Rossa – rated 9.9 by recent guests! The beds were excellent. 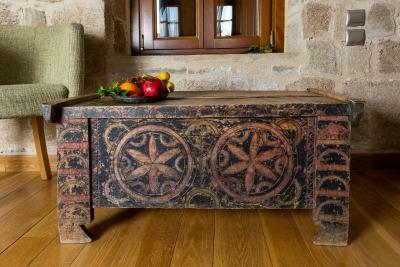 The attention to detail was superb in furnishings, service and hospitality. The hosts were warm, so helpful and friendly which made us feel so good! The breakfasts were so interesting and tasty and different every day. Everything was tailored to the guests specific needs and their excellent guidance in activities and how to get to your destination was invaluable. I can’t say enough about how good everything was! 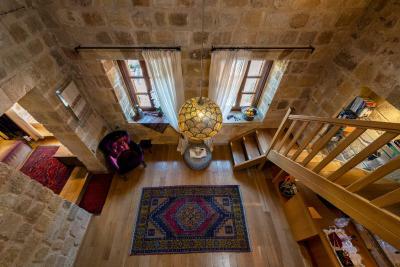 This is a truly exceptional small property in a restored old building in Rhodes old town. 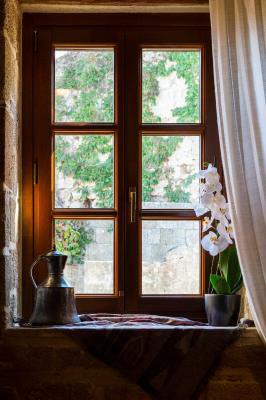 The room, which had its own private garden, was beautifully designed, and tastefully furnished. The common areas were pleasant and inviting. The breakfast was gourmet, with some new and interesting dishes each day (not a buffet). The owners were exceptionally warm and helpful. 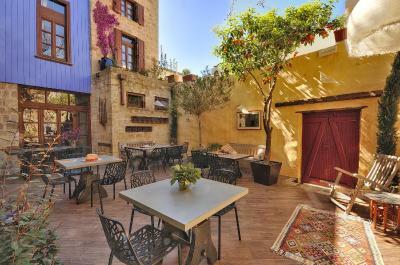 The hotel is beautiful and wonderfully located in the old city. 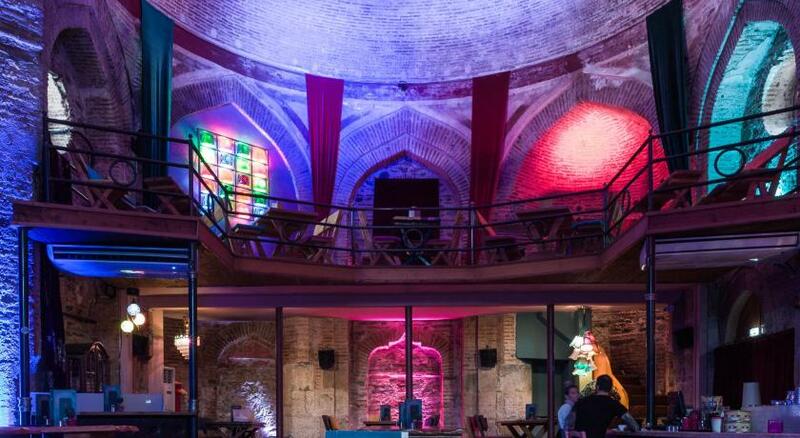 You are right in the walled city and can easily walk to restaurants, shops and sites. The most amazing part was how helpful the owners were in orienting us and helping us plan our stay, they supplied us with a tablet with GPS and personally loaded recommendations for us to visit, dine, etc. We rented a car on their recommendation which was perfect for us!! Can’t say enough of how wonderful this hotel is. 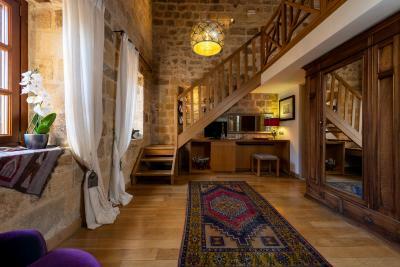 Beautiful accommodations in great location with wonderful breakfasts. Owners Nikos and Angela were helpful with all of our plans -- arranging transportation, finding an amazing/knowledgeable guide, making restaurant recommendations. Four days in Rhodes was the highlight of our trip to Greece thanks to Nikos and Angela. 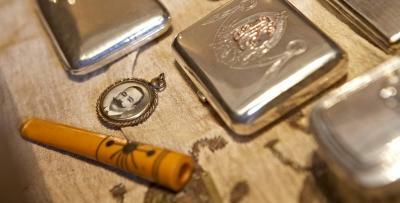 Nikos and Angela have created a one of a kind hotel experience down to the smallest detail. The hotel itself is beautifully designed and curated, with a beautiful garden where guests can enjoy an extraordinary breakfast, early evening drinks, and a late night honor bar. Everything is complimentary with your stay, andanything xsn ge customized to your needs. Nikos provides each room with a tablet loaded with GPS and a custom program with custom curated itineraries based on what you've said you want to do each day. The rooms are lovely and our bed was very comfortable. Angela and Nikos were truly amazing hosts! Breakfast, location, accommodations, decor, and services were all absolutely exceptional. 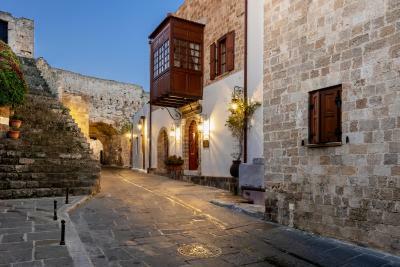 I usually don't consider our hotel to be a big part of our travel experiences, but Kokkini Porta Rossa enhanced our trip to Rhodes and made it one of our favorite places in Greece. The hosts were amazing and helped us plan our days out and the breakfast was phenomenal. They made us feel like old friends. The whole stay was absolutely perfect. There was a tablet in our room that gave us all the information we needed for the best places to visit and eat. It was very useful. I came here as a birthday trip with my husband and the owners (Nicos and Angela) prepared a birthday gift as well as even a goodbye gift! Breakfast was great...everything was great. I am an avid traveler and this was hands-down the best place I've ever had the pleasure of staying at. It is highly recommended! 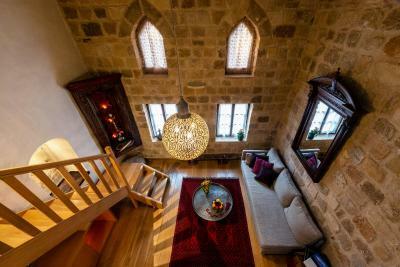 This is an EXCEPTIONAL place to stay, the online description can't do it justice. It is beautiful. The attention to detail is incredible. Nikos and Angela are the most incredible hosts - they provide the BEST service we have ever experienced at a hotel. They are helpful, knowledgable, very friendly, extremely interesting and interested in their guests. Kókkini Porta Rossa This rating is a reflection of how the property compares to the industry standard when it comes to price, facilities and services available. It's based on a self-evaluation by the property. Use this rating to help choose your stay! 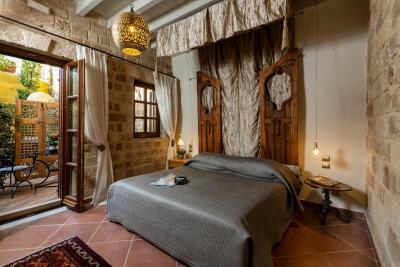 Kokkini Porta Rossa is a boutique hotel located in the Medieval Town of Rhodes. 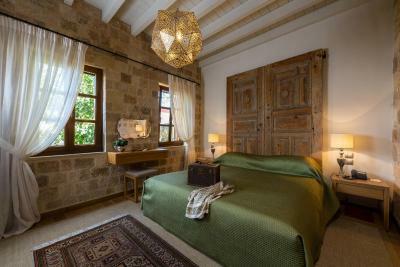 It features 6 individually decorated suites with hand-picked items, free mini-bar and WiFi. 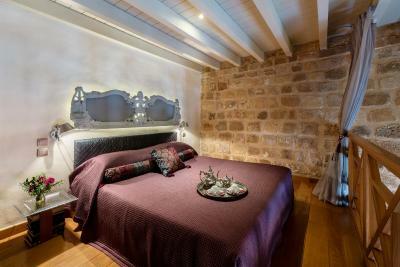 Fitted with Coco-Mat hypoallergic mattresses and a menu of six different pillows for the guests to choose from, each room here will provide you with a TV, air conditioning and a tablet. Complete with a refrigerator, the units also have an electric kettle. Featuring a spa bath or a free-standing bath with a hydromassage shower , private bathroom also comes with a hairdryer and bathrobes. A welcome treat is offered upon arrival and a farewell present upon departure. Every evening guests are welcome to tea, coffee, refreshments or wine served free of charge in the salon or the garden. A basket with brand-new beach mats, beach towels, and bottles of water is offered free of charge. A multi-course breakfast prepared daily by the property's chef and made with local, fresh products, is served. 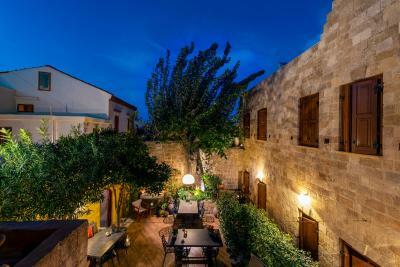 At Kokkini Porta Rossa you will find a garden and a bar. Other facilities offered at the property include a shared lounge, a ticket service and a tour desk. 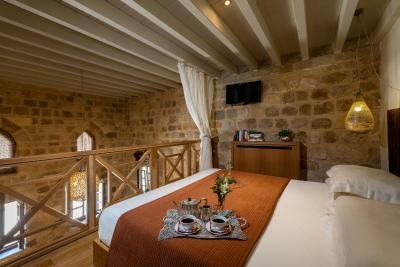 The hotel is 1,950 feet from The Street of Knights, 2,300 feet from the Palace and 800 feet from the Kahal Shalom Synagogue. 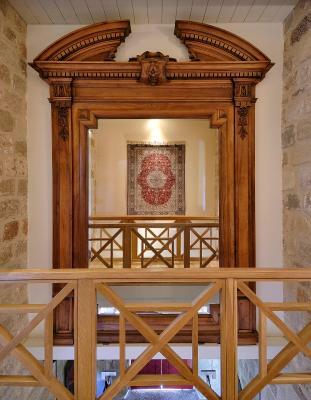 Ferry and day-boat ports are 1,950 feet away and Rhodes International Airport 8.1 mi away. Free public parking is possible nearby. 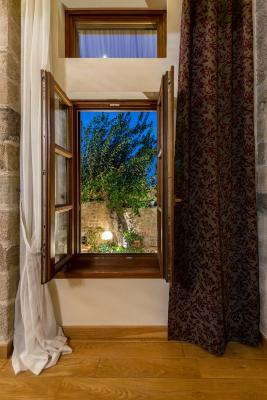 This is our guests' favorite part of Rhodes, according to independent reviews. 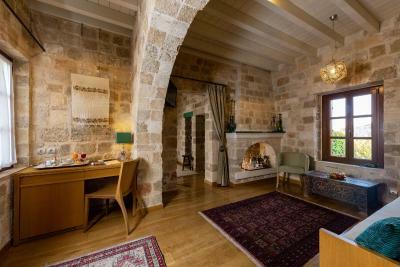 This property also has one of the top-rated locations in Rhodes! Guests are happier about it compared to other properties in the area. 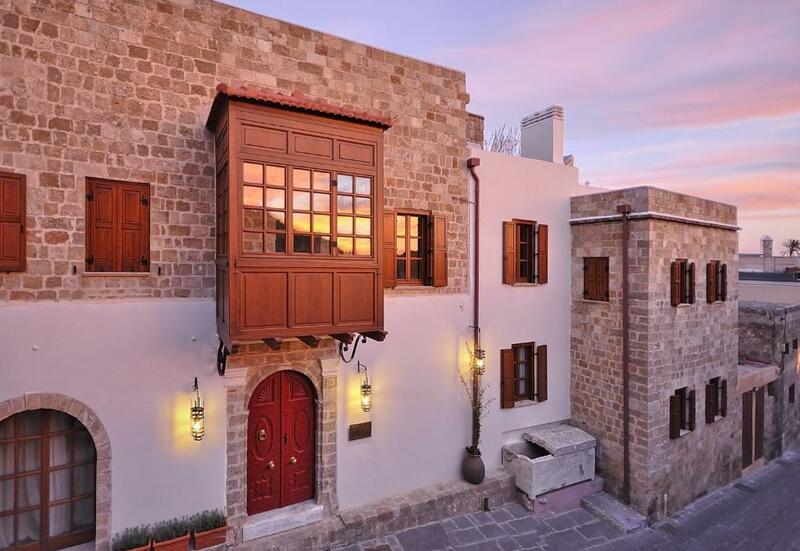 This property is also rated for the best value in Rhodes! Guests are getting more for their money when compared to other properties in this city. 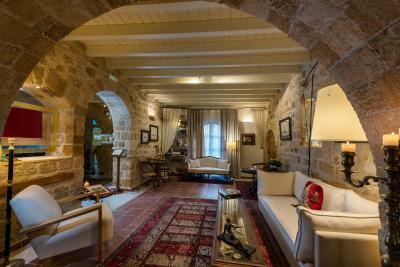 When would you like to stay at Kókkini Porta Rossa? Fitted with Coco-Mat mattresses and pillows, this oriental-style and split-level suite features a spa bath and air conditioning. It offers a tablet, a flat-screen TV and a mini-bar. Please note that these open-plan suites are located on the 1st floor and are accessible only by stairs. Please note that this room type can accommodate 3 adults. Accommodations of extra beds is not possible. Offering more space and fitted with a Coco-Mat mattress and pillows, this split-level suite features a free-standing bath tub, a shower with hydromassage, air conditioning and a spacious double loft. 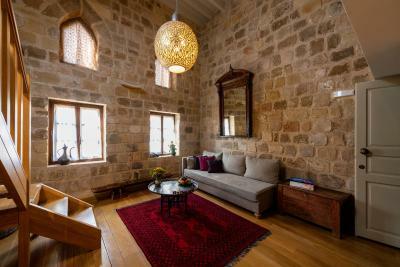 Fitted with Coco-Mat mattresses and pillows, this split-level suite is decorated in Oriental style and offers views of the Castle. It features a spa bath and air conditioning. A tablet, a flat-screen TV and a mini-bar are also included. 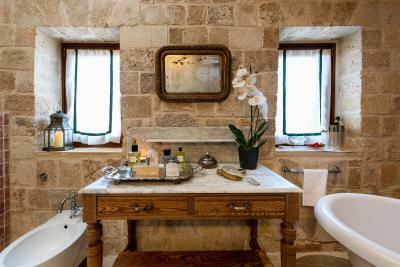 Fitted with a Coco-Mat mattress and pillows, this tastefully decorated suite features a free-standing bath tub, a shower with hydromassage, air conditioning and a fireplace. 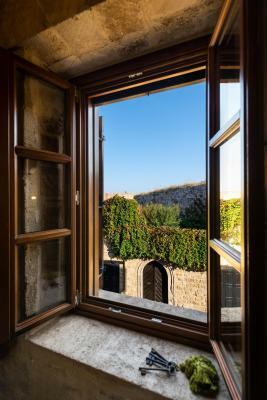 It offers views of both the Castle wall and the garden. A tablet, a flat-screen TV and a mini-bar are also included. 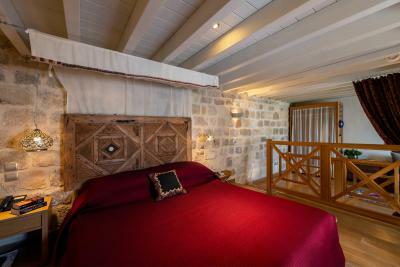 Elegantly decorated and fitted with Coco-Mat mattresses and pillows, this suite is located on the ground floor with exclusive use of part of the garden. 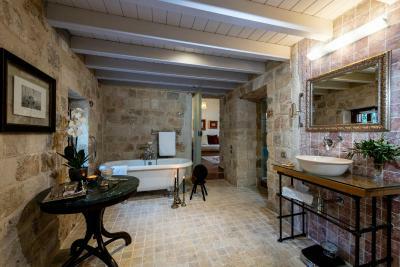 It features a free-standing bath tub, a shower with hydromassage and air conditioning. A tablet, a flat-screen TV and a mini-bar are included. Guests with mobility difficulties are requested to contact the hotel for details. 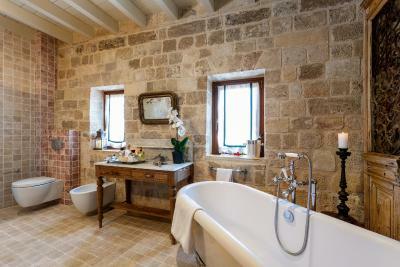 We have changed a knight's house originally built in the 14th century into a hotel we are proud of. 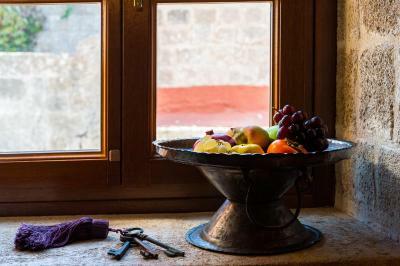 Our intention is to welcome our guests to their home away from home. 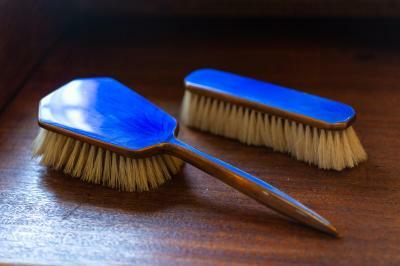 To let them enjoy our personal care and attention in a relaxing and pleasant atmosphere. 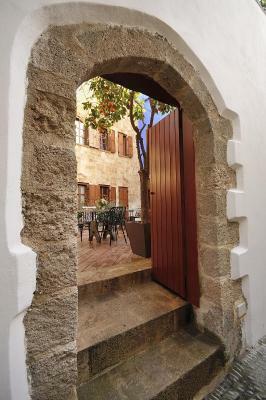 Rhodes' old town is one of the largest preserved medieval city centers in Europe. It's all gray stone and ancient inscriptions, with picturesquely named streets like "Avenue of the Knights." House Rules Kókkini Porta Rossa takes special requests – add in the next step! 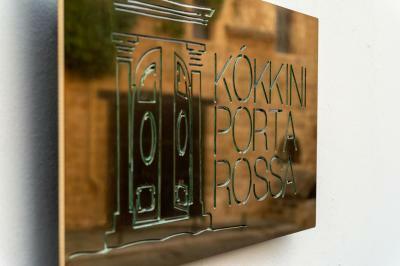 Kókkini Porta Rossa accepts these cards and reserves the right to temporarily hold an amount prior to arrival. Please note that guide dogs are accepted with prior arrangement, while other dogs may be accepted upon request and upon the property's discretion. Kindly note that the hotel is not designed for children. Caring for our guests' tranquility and having in mind small children's safety, we are unable to cater for children under the age of 10. Exceptions apply only due to specific guests' circumstances, as well as when the entire hotel is booked by one party. Guests booking a refundable rate are kindly requested to pay a 50% deposit. One of the most picturesque neighborhoods in Rhodes! EVERYTHING! 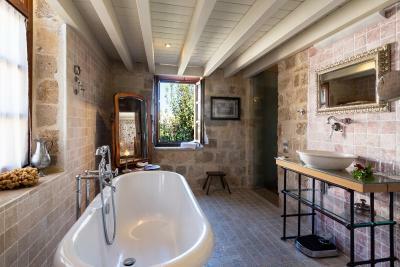 This was officially the best boutique hotel we ever stayed in. Angela and Nikos (the owners) go far and beyond anything you can expect to make your stay the best experience ever. I was communicating with Nikos via emails months before I arrived and he always replied promptly and eager to help. The app he has created to help you find your ways on the island is fabulous and all his recommendations spot on. Angela's food every morning an absolute delight. Wifi worked perfect. 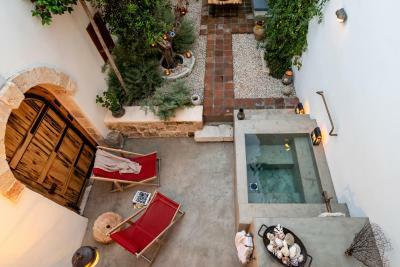 Our room with the patio and the outdoor tub was amazing and invited to sit outside to unwind after a busy day exploring the old town. The hotel is decorated so tasteful with antiques in every corner without being over loaded. You feel at home. If we ever come back to Rhodes we will definitely stay here again. Absolutely amazing, very detailed and clean hotel, with very friendly and helpful owners. Great breakfast with local specialities. 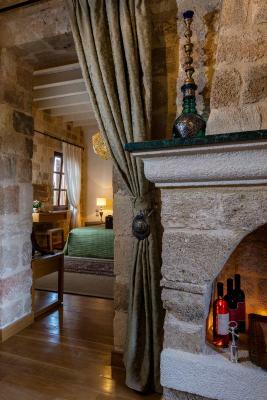 FIRST AND ONLY CHOICE IN RHOEDS We have spent three fabulous days in Kokkini Porta Rossa, it's a charming medieval styled hotel with highly standard facilities located in the historical old town, walking distance to the Archeological Museum and Palace of the Grand Master, which are must go places in Rhodes. 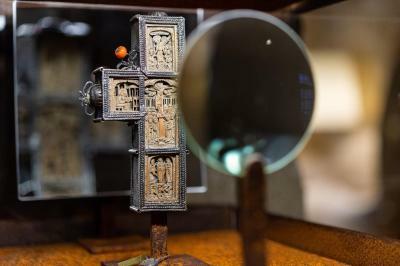 There are eight rooms in this hotel and each one is distinguished but has its own spotlight. 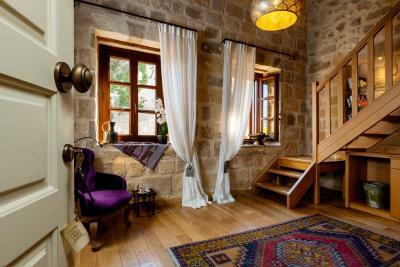 We lived in Michalis with a cozy backyard inside, the furnishings and decorates are very sophisticated. Nikos and Angela are very enthusiastic warm-hearted host, who offered us many many helps while we staying here! They provided a tablet to us that we are able to reach everything we need on their own app! Nikos will make your private itinerary on the tablet after a small talk with you every morning according to your interests, he always gives you a prompt reply and useful information no matter in person or by message. 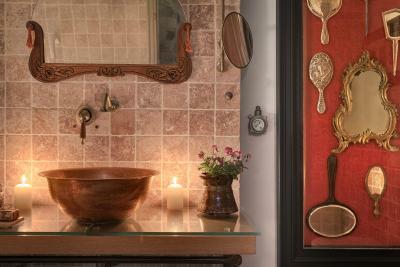 You'll be treated with a lavish home-made breakfast every morning and be provided beverages and wines every evening. We cannot express enough gratitudes for this lovely couple and their help. 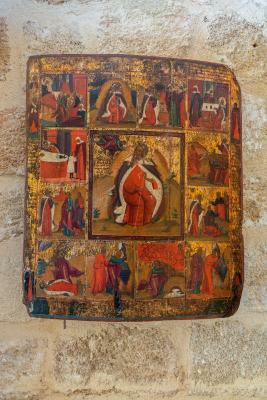 There are lots of extraordinary services and a attractive old town await you to explore. If you're not inteeested in talking to your hosts or want an anonymous room to crash in, this is not the place for you. 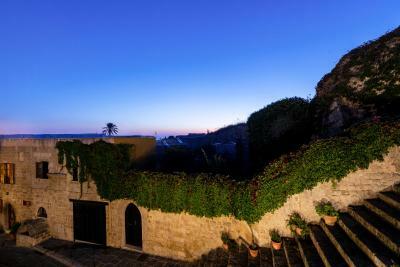 For us, however, we can't imagine a better way to experience Rhodes. There was nothing that we didn't like. We liked everything. Every little detail has been considered. 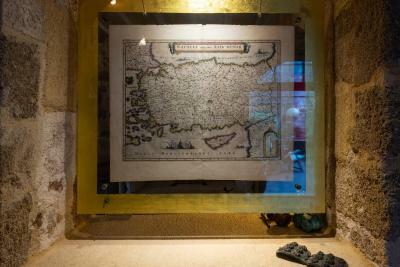 The hosts give you a tablet on arrival with all the information needed about Rhodes, including points of interest, beaches, restaurants, and maps. From the chef-cooked breakfast (included) to a pre-dinner drink (included) offered in the courtyard, to the drinks trolley (included), set up in the lounge room, for when you return from dinner Every morning, over breakfast in the pretty courtyard, you are asked what you would like to do and a day is planned for you, taking in your interests. You can choose to follow that plan or some of it or not at all. 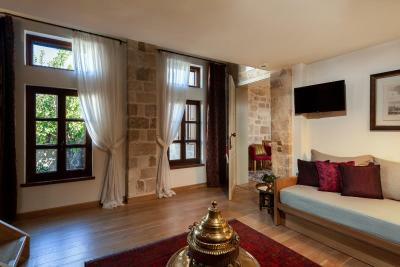 The rooms are comfortable large suites, beautifully furnished and decorated. The hosts are delightful, knowledgeable and attentive, but not intrusive. Perfection! This is definitely the best place I have ever been in my entire life. 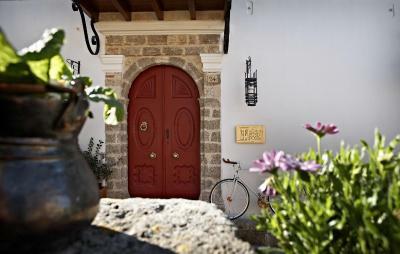 Nikos and Angela are the typical superhosts and take always good care of you. 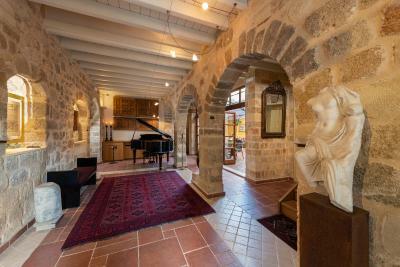 The place is amazing, full of history, art, architecture, antiques, wines and the good sense of humor and hospitality of the hosts. 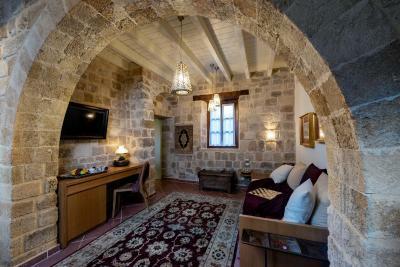 Me and my wife were enjoying the honey moon and were treated accordingly, with wedding gifts and the best recommendations someone could get not only in Rhodes, but in the whole Greece. Nikos and Angela are greeks and they love their country, showing and advising us the best. 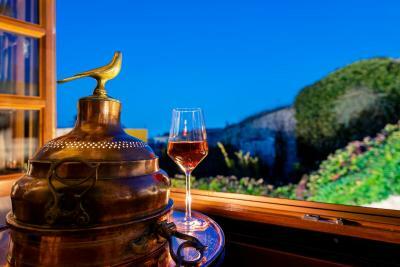 We can not remember of any other top greek point during our 20 day trip while in this historical boutique hotel. 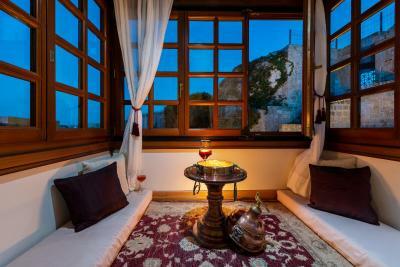 Between a nice glass of white wine, a glass of hibiscus tea, and a piano playing some Brazilian music performed by the son of the owners in the lobby, you start to believe that the medieval city and the whole island are just an ornament to that fantastic place which you will always want to come back one day, eventually. Fabulous place wonderful hosts, excellent breakfast. The best attention to detail of any hotel I have ever stayed in.